Due to the popularity of this image and the demand for another print I have taken the step to re-publish it. This second edition is a slightly smaller-sized print than the first but has a larger edition run of 100. Looking down on this low-tide pool at I was intrigued by the way the underwater pebbles gradually became more clearly visible as they got closer to the bottom of the picture. 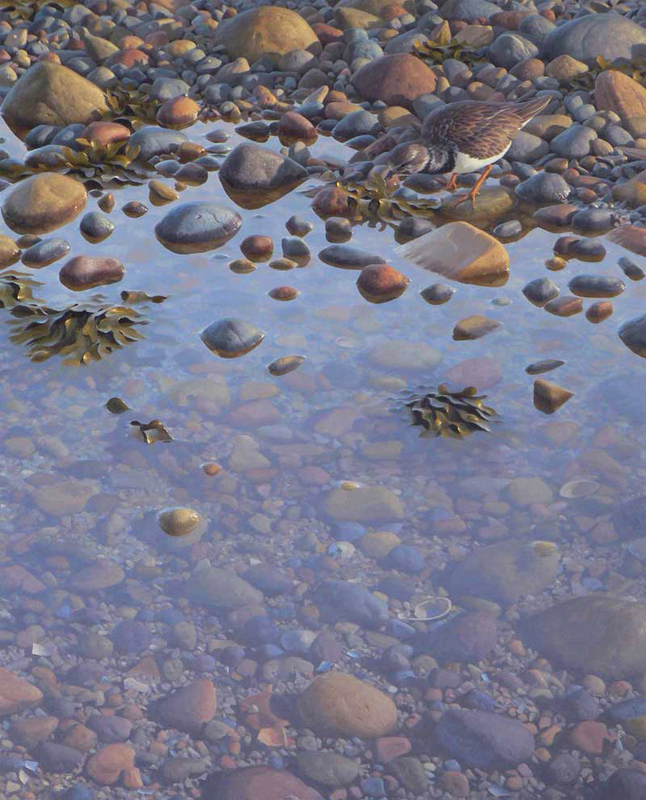 I liked the way this was was reversed at the top of the scene where the pebbles on the shore began to disappear beneath the water as it became deeper. 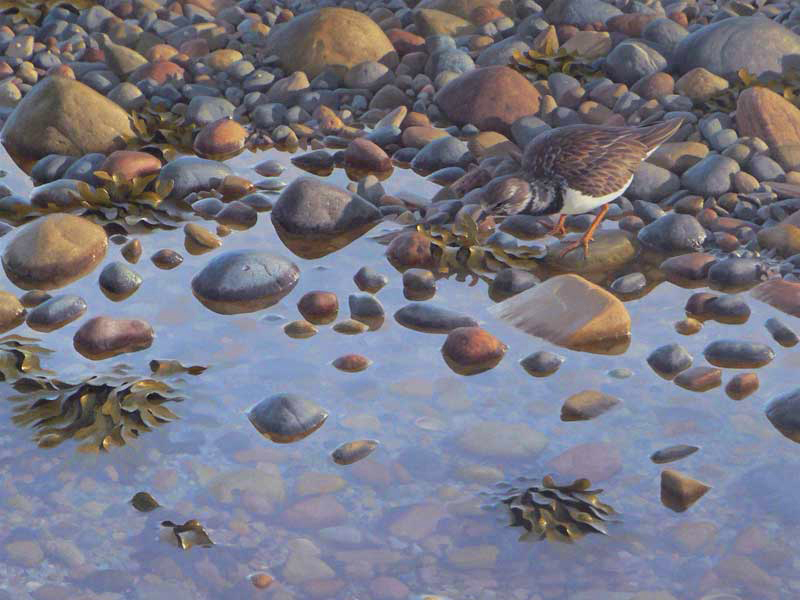 I came to understand as I painted the picture that what made the pebbles look like they were under water was actually the stones that broke the surface. 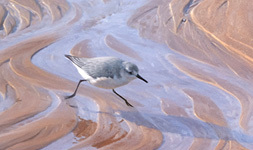 As I painted the acrylic field sketch I became aware that there were turnstones feeding nearby. They were so well camouflaged they were almost invisible until they moved.